The days when a marketing team simply needed skills, savvy and nous to get results are long gone. The modern marketer has a wealth of different technological platforms, software pieces and tools to help him or her drive growth, build relationships and achieve conversions and, as a result, they need to ride the wave of developments in the field if they are to be successful. While the array of different tools available can be bewildering, a clear and well-defined set of goals will help you to decide which tools you need to integrate into your approach. A prominent website, featured on the first page of search results, is worth its metaphorical weight in gold. Fortunately, a wealth of tools can be found online to help you achieve this. Two of the simplest but most effective are Google Keyword Finder and Buzzsumo. When used in tandem, these two handy tools will enable you to define which keywords you want to chase as part of your content marketing strategy, and will give you insight into what kind of competition you can expect with each one. You can use the search engine’s own paid ad functionality to guarantee you are position on the first page of results, but be aware that internet users tend to prefer content from sites who have raised their prominence organically and made the first page on merit. There is no shortcut, but SEO technology can give you a helpful push in the right direction. For a marketing team, an in-depth knowledge of the processes they are employing is vital. Marketers need to know precisely which strategies they will use for any given campaign, as well as what has worked in the past, what hasn’t, and why. Keeping abreast of all this information is difficult without a degree of technological help, so investing in a good piece of analytics software is imperative. Analytics software like Google or Adobe Analytics give you and your marketing team a valuable panoramic view of your marketing processes. Information on the number of impressions garnered by an advert or piece of content, general traffic through your website, conversion rates per campaign and much more is all accessible via the analytic platform, allowing you to fine tune your approach and ensure that your campaigns are running at optimum efficiency. But marketing is about more than just attracting leads and selling to new prospects; it is also about retaining high quality customers and developing a strong, mutually beneficial relationship with them. This requires a high level of data management, something that cannot be achieved without technological assistance. 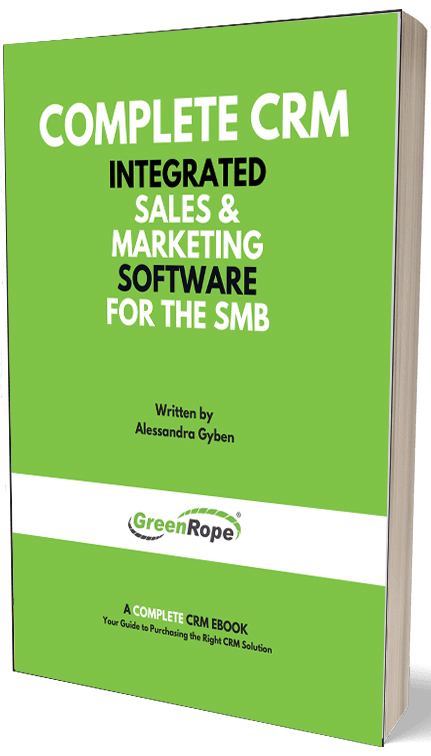 Utilizing a good quality piece of customer relationship management software – such as Greenrope - is the best way to accomplish this. Acting as an integrated platform via which you can nurture the relationship with your customers at every stage of their interaction with your company, customer relationship management – or CRM – software is an important weapon in the technological arsenal of any modern marketing team. CRM software is widely accepted as being greatly beneficial for building the prestige and reputation of a company, but its potential to help with the marketing side of things is often overlooked. Don’t let this potential go untapped. By adopting a savvy and pragmatic approach to technology, you can manage your campaigns, optimize your processes, increase conversions and boost efficiency across the board. Also, by implementing the use of technology at key strategic points in your marketing protocols, you can reduce the amount of man hours required to accomplish your goals, freeing up team members to put their skills to better use elsewhere within the business.